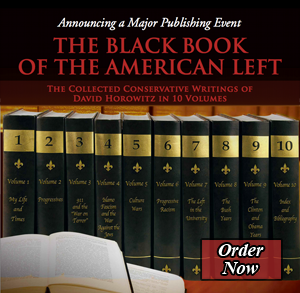 This is the eighth themed volume in the series of my writings collected under the general title, The Black Book of the American Left. Like the previous installments, it has been edited to stand on its own, in this case as a book about one of the underappreciated tragedies of our times: the successful campaign of the left to subvert the curricula of collegiate institutions and transform entire academic departments and schools—including Schools of Education—into doctrinal training centers for their social and political causes. This transformation of the educational system in turn has underpinned the steady dismantling of America’s social contract, which has been the ongoing project of the left since the 1960s. The present volume is actually the sixth book I have written on the subject of the transformation and its destructive consequences. In addition to whatever analytic contributions are made in these pages, they provide a compendium of anecdotal evidence about the manner in which progressive activists have taken control of liberal arts curricula and reverted them to their 19th-century origins as instruments of religious indoctrination. The new doctrines differ from their 19th-century predecessors in that the are political and secular, having been shaped by Marxism and its derivatives. These “progressive” doctrines, however, share with traditional religions the same impulse to redeem a fallen world and to suppress what they regard as hostile—therefore heretical—ideas in the name of human progress. of the Historical Society. The summary appears in an article written by Jennifer Delton, a tenured history professor at Skidmore College—a top-tier liberal arts school. It describes a purported orthodoxy in historians’ views of Cold War anti-communism. In other words, it is the professional opinion of this tenured professor, the editors of the Journal of the Historical Society and, apparently, academic historians generally that concern about a domestic communist threat during the Cold War was equivalent to “McCarthyism”—a witch-hunting mania about imaginary demons. This, according to Delton, is what academic historians “tell our students,” and not as mere opinion but as a historical consensus, and thus an academic fact. This consensus exists, apparently, in the face of easily established, indisputable facts that refute it: the fact that McCarthy was censured by an anti-communist Senate, including senators who sat on his committee; the fact that he was opposed by an anti-communist president, Dwight Eisenhower, and by anti-communist liberals such as Arthur Schlesinger, Jr., who wrote one of the seminal anti-communist books of the period, The Vital Center; or the proven fact that the federal government had been penetrated by communist agents at the time, and at the highest levels. It goes without saying that no conservative scholar could agree with the conclusion of Professor Delton and her colleagues, and thus no conservative scholar could be readily regarded by the consensus she describes as a reasonable member of her profession. To ideologues like Delton, the contents of this volume will seem an extreme view of what has taken place in American liberal arts colleges and graduate institutions. But to recognize the intellectual corruption of the contemporary academy is hardly what is extreme; what is extreme is the politicized state of academic discourse, the confusion of scholarship with propaganda, and therefore the widespread debasement of the academic enterprise. What is extreme is the general comfort level of the academic community with this travesty of scholarship and, worse, with the practice of indoctrinating students in the classroom. The ramifications of this reversion to doctrinal instruction and pre-scientific standards of scholarship have been destructive not only to higher education but to society at large. Since collegiate institutions are the training grounds for all professions, this corruption has adversely affected a widespread array of policies, both foreign and domestic; it has warped cultural attitudes towards race and gender (see volumes 5 and 6 in this series); and it has intruded political biases into such civically crucial professions as the law, journalism and secondary school education. The contents of this volume were immediately inspired by a campaign I conducted to counter these trends and promote a restoration of the academic values associated with the modern research university, in particular the identification of scientific standards of inquiry with academic professionalism. The goal of the campaign, which lasted for roughly seven years and ultimately failed, could also be viewed as an attempt to restore a professional standard appropriate to education in a democratic society—that teachers should teach students how to think and not tell them what to think. This standard was established in a famous “Declaration on the Principles of Academic Tenure and Academic Freedom” issued by the American Association of University Professors (AAUP) in 1915, and until recently verbally embraced by all reputable academic institutions. The campaign I organized to defend those principles was ferociously opposed by the tenured left, most strikingly by the very organization that had devised the original standard: the American Association of University Professors, whose governance had fallen into radical hands. Although my campaign failed, it revealed the extent of the AAUP’s defection from its original purposes and its determination to protect a new professorial “right”—the “right” of faculty to indoctrinate their students. This was made indisputably clear in the AAUP’s opposition to a crucial passage of the Declaration that I regularly cited in my campaign, and which had been adopted verbatim by Penn State University as its academic freedom policy. There can be no better introduction to the present volume than to recount the fate of this policy at the hands of the AAUP and its academic agents. The AAUP’s attack on this specific policy was launched in the winter of 2010, just after events in Pennsylvania convinced me of the futility of my reform efforts. Legislative hearings to inquire into the state of academic freedom in Pennsylvania—hearings in which I played a seminal role—were effectively subverted by the AAUP and the teacher unions, while the Republican Party and conservative groups that should have supported the reform effort sat on the sidelines. Without their active involvement there was little more that I could do. The AAUP’s attack was led by its leftist president, Cary Nelson, whose book No University Is an Island, was published that December. In his book Nelson assaulted me personally and followed his assault with an attack on the Penn State policy I had championed. Nelson described the Penn State policy on academic freedom as an attempt to restrict faculty speech and curtail academic freedom. This was the same Orwellian position the AAUP had advanced throughout the controversy; but it was the first time anyone had made that argument specifically against the Penn State policy I had praised. Nelson and I had debated each other on several occasions, so he was thoroughly familiar with my campaign and the fact that I had made HR 64 and the 1915 Declaration its cornerstones. His attack also targeted the “Academic Bill of Rights” I had attempted to persuade universities to adopt, which was an attempt to codify the principles of the 1915 Declaration. Nelson did not merely criticize the Penn State policy but condemned it as “especially bad” and an example of “McCarthy era rhetoric.” His objection to the policy was that it denied professors the right to advance their political agendas in the classroom. According to Nelson: “Like Horowitz, Penn State failed at the time to conceptualize the sense in which all teaching and research is fundamentally and deeply political.” This was a candid admission of the anti-academic agendas of both Nelson and the AAUP. To them, “academic freedom” meant a license for professors to use their classrooms as political platforms to indoctrinate their students. Political agendas aside, Nelson’s smear of the Penn State academic freedom policy and my efforts made no logical sense. Far from seeking to suppress dissenting ideas, the 1915 Declaration, the Penn State policy and my Academic Bill of Rights stipulated that faculty were obligated to present conflicting opinions on controversial matters in a fair-minded manner. In other words, they were statements in behalf of intellectual diversity. Neither document denied professors the right to express their views, or to freely draw conclusions from their research. They did require them to observe a professional standard in the classroom; in particular, to be mindful that students were in the process of forming their opinions and should be allowed to do so. It was only in this sense that it restricted professors’ “freedom of speech”—specifically the “right” to use their classrooms for political attitudinizing. But this was no more restrictive than the codes governing doctors or lawyers in their professional settings. And it was in accord with the views of the leading academic authority on academic freedom: Robert C. Post, dean of the Yale Law School. Incoherent as this explanation was, Nelson had successfully engineered a policy that formally permitted professors to indoctrinate their students. This remains the policy of the AAUP and faculty throughout the liberal arts academy today. In short, I had to face the reality that my seven year campaign to restore the concept of academic freedom as defined by the AAUP in its 1915 Declaration had led to the formal repudiation of its principles by the same organization. Part I of the present volume is an essay selected because it frames the subject, a practice I have adopted in previous volumes. It is an edited version of the introduction to The Professors, a book I wrote in 2005 about the unprofessional classroom attitudes of over 100 prominent professors. In the controversy generated by the book, the substance of this introduction was completely ignored. Not a single response from my academic opponents addressed the substantive critiques contained in its text. Part II recounts my experiences on college campuses in the five years preceding the creation of the Academic Bill of Rights, along with my observations regarding the decline of academic discourse under pressures from the academic left. Part III describes my campaign for an Academic Bill of Rights. This document was a codification of the principles set forth in the 1915 Declaration. It was inspired by the idea that if professors have an obligation to act professionally in the classroom, then students have a right to expect a professional instruction; in particular, to hear fair-minded presentations of divergent views on controversial issues, along with the freedom to draw their own conclusions. Part IV continues the account of the campaign for an Academic Bill of Rights and describes the attacks against it by the American Association of University Professors, the American Federation of Teachers, and faculty senates like the one at Penn State. Part V recounts the controversies surrounding two of the books I wrote, The Professors and Indoctrination U., and more of my failed attempts to persuade the academic community of their obligation to present contested issues as controversial and to observe a professional decorum in the classroom. I have concluded the text with an epilogue containing a proposal for reforming universities and re-establishing standards of instruction in the classroom. I wrote this proposal in 2010, before the AAUP eviscerated the Penn State academic freedom policy. I did not publish it then because I knew that any proposal associated with me would be dead in the water because of the war the AAUP had declared on all my efforts, however modest and reasonable. I publish it now because I have given up any hope that universities can institute such a reform. The faculty opposition is too devious and too strong; and even more importantly there is no conservative will to see such reforms enacted. Therefore there seems to be no harm in publishing the document now, and it does serve to clarify my goals in undertaking my campaign. As in all these volumes, the texts have been edited for clarity and readability, and are printed—with the exception of the opening essay—in chronological order, so as to provide insight into the progress of the campaign.